If we use biologically detailed models of a neuron, then it’s easy to understand and implement the concepts of topology, as we already have dendritic arbors, axons, etc. which are the physical prerequisites for connectivity within the nervous system. However, we can still get a level of specificity using networks of point neurons. Cell-type specificity – what sorts of cells are there? Location specificity – where are the cells? 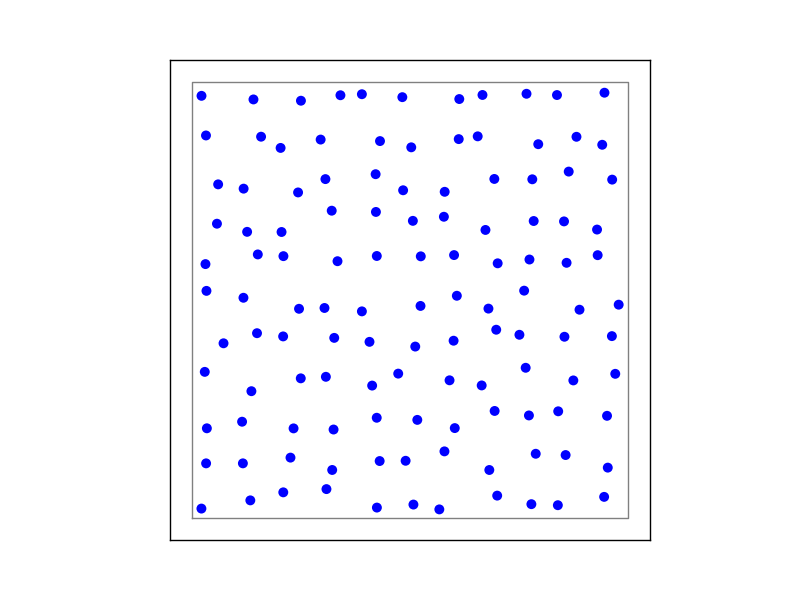 Projection specificity – which cells do they project to, and how? In the previous handouts, we saw that we can create deterministic or randomly selected connections between networks using Connect(). If we want to create network models that incorporate the spatial location and spatial connectivity profiles, it is time to turn to the topology module. NOTE: Full documentation for usage of the topology module is present in NEST Topology Users Manual (NTUM) , which in the following pages is referenced as a full-source. The nest.topology module allows us to create populations of nodes with a given spatial organisation, connection profiles which specify how neurons are to be connected, and provides a high-level connection routine. We can thus create structured networks by designing the connection profiles to give the desired specificity for cell-type, location and projection. Defining layers, in which we assign the layout and types of the neurons within a layer of our network. Defining connection profiles, where we generate the profiles that we wish our connections to have. Each connection dictionary specifies the properties for one class of connection, and contains parameters that allow us to tune the profile. These are related to the location-dependent likelihood of choosing a target (mask and kernel), and the cell-type specificity i.e. 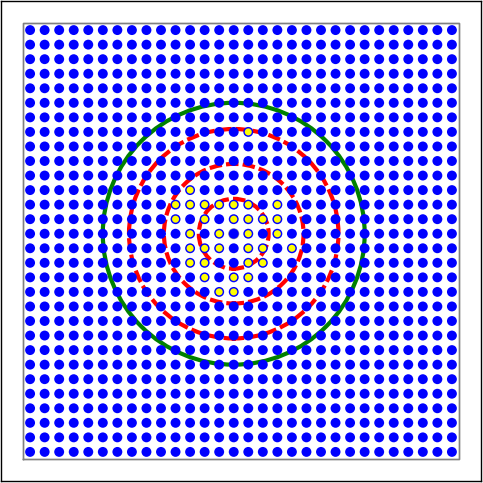 which types of cell in a layer can participate in the connection class (sources and targets). Connecting layers, in which we apply the connection dictionaries between layers, equivalent to population-specificity. Note that multiple dictionaries can be applied between two layers, just as a layer can be connected to itself. Auxillary, in which we visualise the results of the above steps either by nest.PrintNetwork() or visualization functions included in the topology module and query the connections for further analysis. where my_layer_dict will define the elements of the layer and their locations. The choice of nodes to fill the layer is specified using the elements key. For the moment, we’ll only concern ourselves with creating simple layers, where each element is from a homogeneous population. Then, the corresponding value for this dictionary entry should is the model type of the neuron, which can either be an existing model in the NEST collection, or one that we’ve previously defined using CopyModel(). We next have to decide whether the nodes should be placed in a grid-based or free (off-grid) fashion, which is equivalent to asking ``can the elements of our network be regularly and evenly placed within a 2D network, or do we need to tell them where they should be located?". 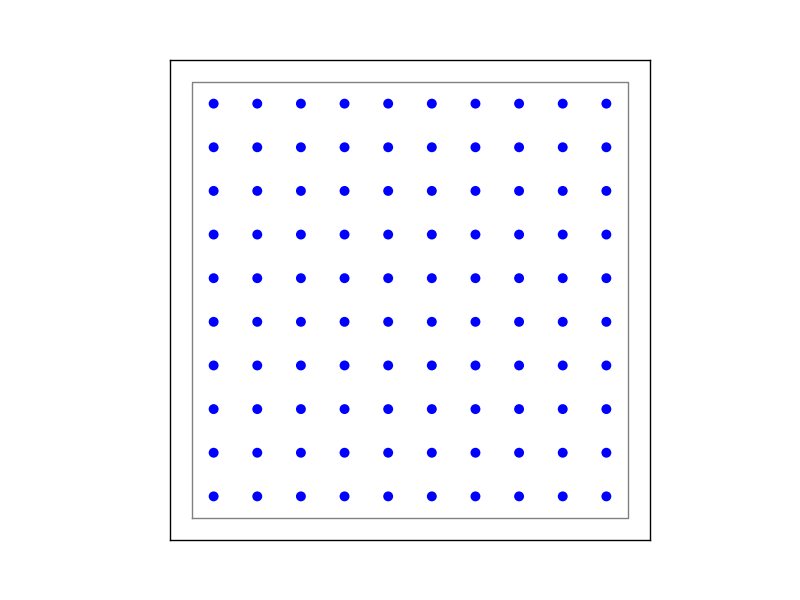 Figure 1: Example of (A) on-grid and (B) off-grid, in which the neurons are positioned as grid+jitter. we have to explicitly specify the size and spacing of the grid, by the number or rows m and columns n as well as the extent (layer size). The grid spacing i then determined from these, and nxm elements are arranged symmetrically. 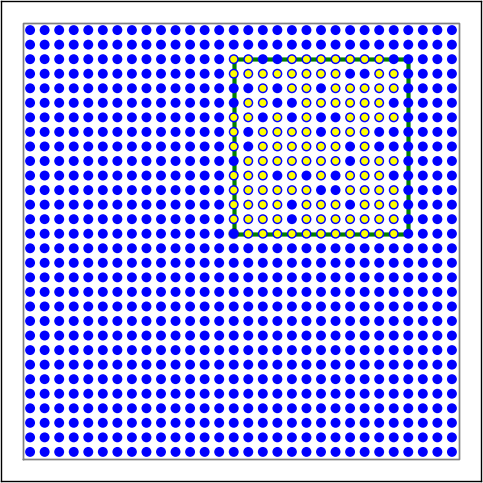 Note that we can also specify a center to the grid, else the default offset is the origin. we define only the elements, their positions and the extent. The number of elements created is equivalent to the length of the list of positions. This option allows much more flexibility in how we distribute neurons. Note that we should also specify the extent, if the positions fall outside of the default (extent size = [1,1] and origin as the center). See Section 2.2 in NUTM for more details. Note: The topology module does support 3D layers, but this is outside the scope of this handout. To define the types of connections that we want between populations of neurons, we specify a connection dictionary. The only two mandatory parameters for any connection dictionary are connection_type and mask. All others allow us to tune our connectivity profiles by tuning the likelihood of a connection, the synapse type, the weight and/or delay associated with a connection, or the number of connections, as well as specifying restrictions on cell types that can participate in the connection class. Chapter 3 in NTUM deals comprehensively with all the different possibilities, and it’s suggested that you look there for learning about the different constraints, as well as reading through the different examples listed there. Here are some representative examples for setting up a connectivity profile, and the following table lists the parameters that can be used. Figure 2: Examples of connectivity for each of the connectivity dictionaries mentioned in the following Python code snippet. # Circular mask, gaussian kernel. which allow us to generate the plots used with NUTM and this handout. See Section 4.2 of NTUM for more details.